A bomb has exploded near St. Mark Coptic Cathedral in Alexandria, just hours after another bombing at St George’s in Tanta. According to initial reports, the bomb struck outside the Cathedral, killing 16 people and injuring 41 others. Al-Ahram reports that a high-ranking police officer was killed outside the Cathedral. The police officer has been identified as Emad Al-Rekaiby. Coptic Pope Tawadros II, the head of the Coptic Church, was inside the Cathedral at the time of the explosion. Initial reports indicate the Pope is safe. Pope Tawadros II was inside the church presiding over Palm Sunday celebrations. 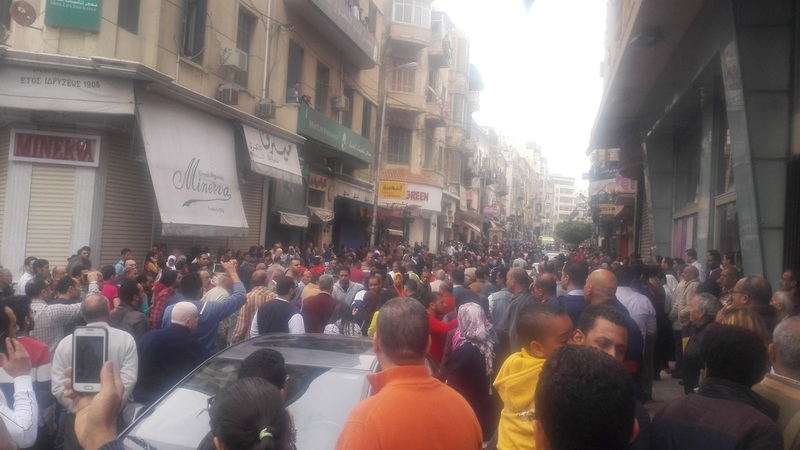 According to state media Al-Ahram, security forces have dismantled two bombs near St Mark’s Cathedral in Alexandria.